Most clinical outcomes are credited to the acute care setting, but patients, too, play a significant role in improving their health and wellness. This is especially true for chronic disease patients who desire to manage their conditions but may lack the resources or education to effectively do so. To help balance care in and out of the doctor’s office, providers can empower patients to take more control over their health. By supplying the tools and knowledge to help chronic disease patients measure and monitor themselves, clinicians can equip them to improve their outcomes in the comfort of their home. From deciding what to eat or drink to participating in certain exercises and taking specific medication, chronic disease patients spend 5,000 hours a year on activities outside of the clinical setting that impacts their health. To empower chronic disease patients to manage their care means to give them the education, technology, and ability to understand data so they can make the most of those 5,000 hours. Empowered chronic disease patients have the potential to generate significantly better outcomes than those who rely on their regular doctor visits to manage their conditions. Here are three ways to empower chronic disease patients to manage their care. First and foremost, health systems working to prevent and detect chronic diseases early can help to provide timely intervention that encourages patients to change their lifestyle habits. By promoting wellness before the patient even arrives at the doctor’s office, health systems and providers can minimize the number of patients who are faced with chronic diseases as a result of poor health choices. Preventative care is foundational to keeping patients healthy, but it can be difficult to find the time to reach out to each and every patient manually. To effectively communicate with a broad patient population, automated technology solutions can be helpful in identifying patients who are due for annual, preventative care such as critical screenings, vaccinations, and other regular visits. Proactively delivering these messages gets patients in the door before it’s too late. And, when a patient deviates from their care plan, responses to automated text can inform the care team, allowing them to intervene in a timely manner. Beyond recall and preventative care reminders, healthcare systems and providers can empower chronic disease patients to manage their care by continuing to communicate with them outside of the doctor’s office. With already constrained staff resources, individual patient outreach via phone or educational mailers is not sustainable—or effective. But, automated technology can help you continue to deliver advice, resources, and support as your chronic disease patients go about their daily lives. The right technology can help you identify patients in each of these categories through seamless integration with your EHR. 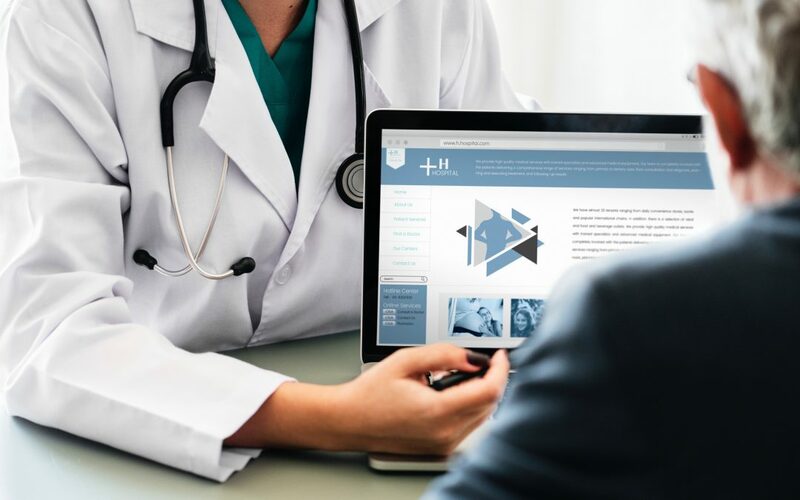 Educational resources and message frequency can then be automatically generated based on your EHR data and criteria to improve compliance to care plans and proactively connect chronic disease patients to the right resources at the right time. A steady stream of wellness tips and lifestyle reminders sent via text can encourage chronic disease patients to make long-term changes to their health habits. In addition to automated patient outreach, patient portals can be a great tool to ensure consistent communication between providers and their chronic disease patients. Patient portals are especially useful for patients juggling complicated treatments and medications, as providers can send direct educational material to patients and alert them of new options as they arise. Patients can also leverage the patient portal to check-in with their providers when they’re experiencing a symptom of their condition to see if there’s an adjustment they can make at home or if their issue warrants a visit to the doctor’s office. When patients are engaged in managing their care, they’re more likely to adhere to care plans, track key metrics of their health, and reach out to their doctor when they have questions. Each of these behaviors can help chronic disease patients improve their outcomes, or at the very least, prevent their illness from escalating. In fact, PatientEngagementHIT.com suggests that patient portals could play a part in helping improve chronic disease management by nearly 10%. Automated and customized technology solutions offer effective tools for helping healthcare providers empower their patients, giving them the resources and support to make decisions in their care. This balanced approach not only improves patient outcomes, it benefits the entire healthcare spectrum as it improves patient experience, reduces cost, and enables greater efficiency in the clinical setting. As technology continues to permeate every aspect of our lives, healthcare organizations and providers should take advantage of the opportunities presented to improve quality outcomes for their patients. By equipping patients to be proactively involved in their care, clinicians can help chronic disease patients monitor and elevate their personal outcomes, thereby reducing their clinical burden while improving the quality of life for their patients. To learn more about how automated technology can help you scale patient communication and improve quality outcomes, contact us today.